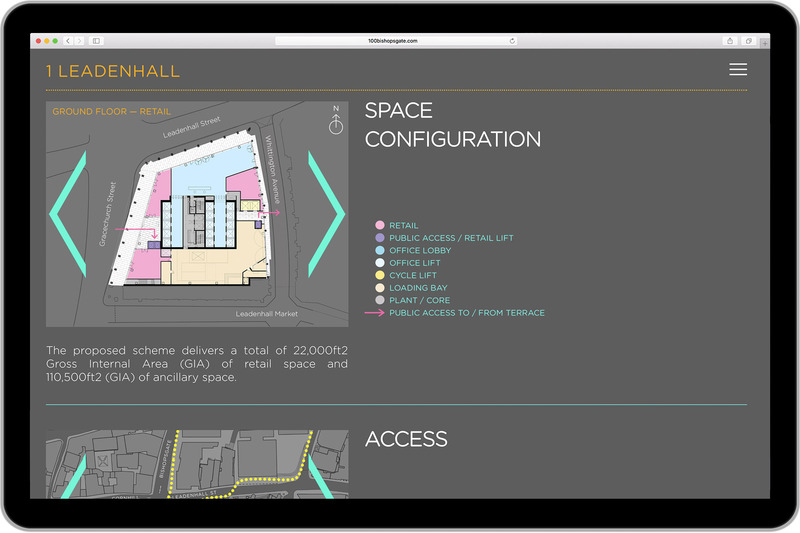 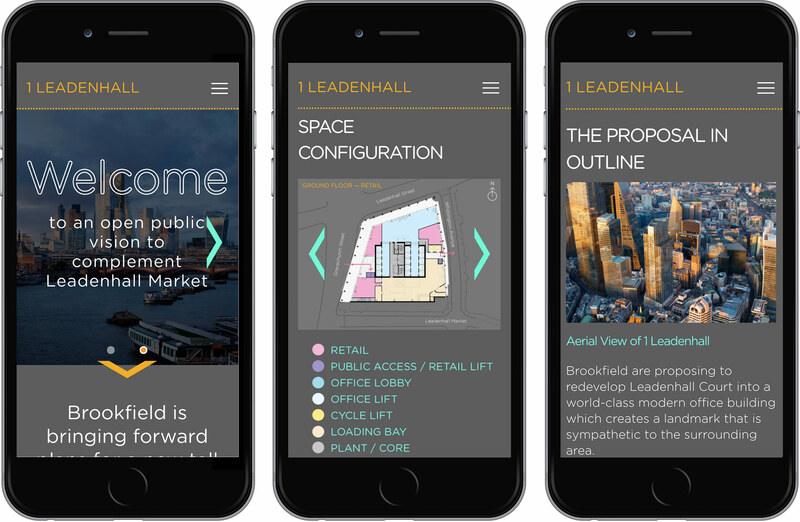 The client asked for a bespoke public briefing website for the suggested development for 1 Leadenhall, a 36 storey tower adjacent to Leadenhall Market in the City of London. 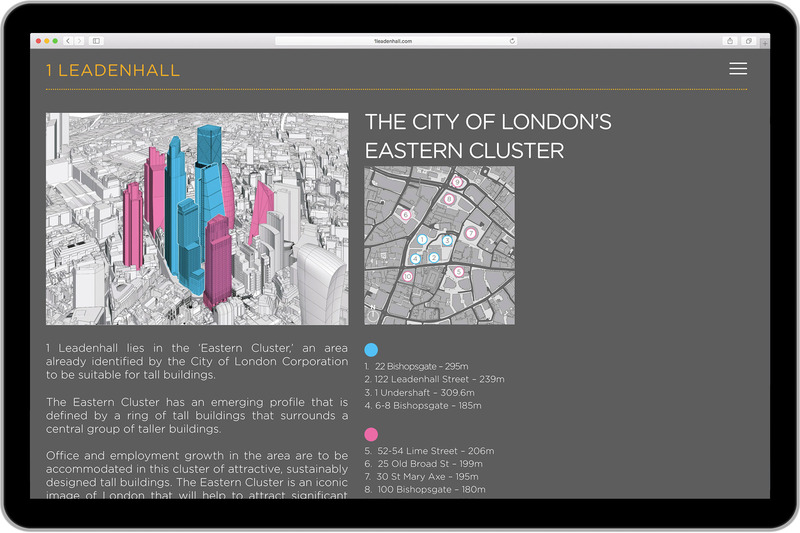 The website uses animated same-page navigation as well as separate page navigation and includes an interactive map, images and plan carousels, a lightbox gallery and a feedback form. 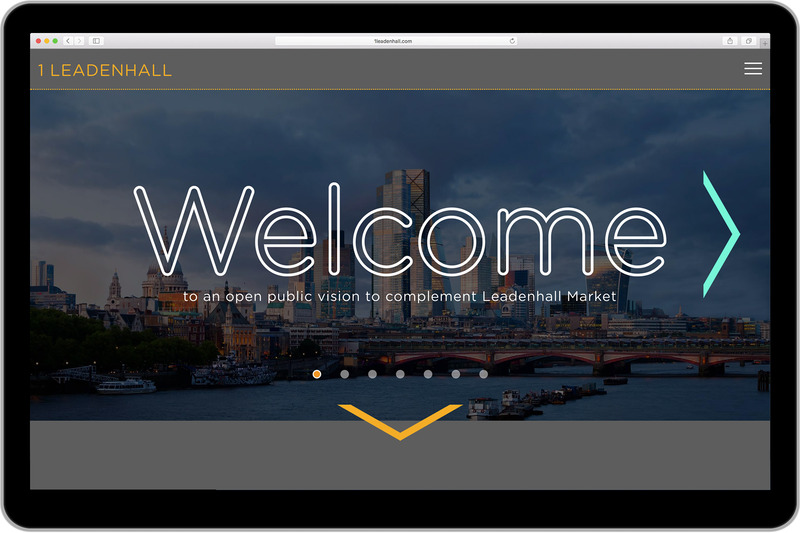 The website is fully responsive and was developed in a very short period of time, yet without compromise on the results.